Gae-Hwa is a band that plays Korean music with new twists. The band name “Gae-Hwa” is Korean and means blossoming; it is the opening of a flower and the beginning of Spring. 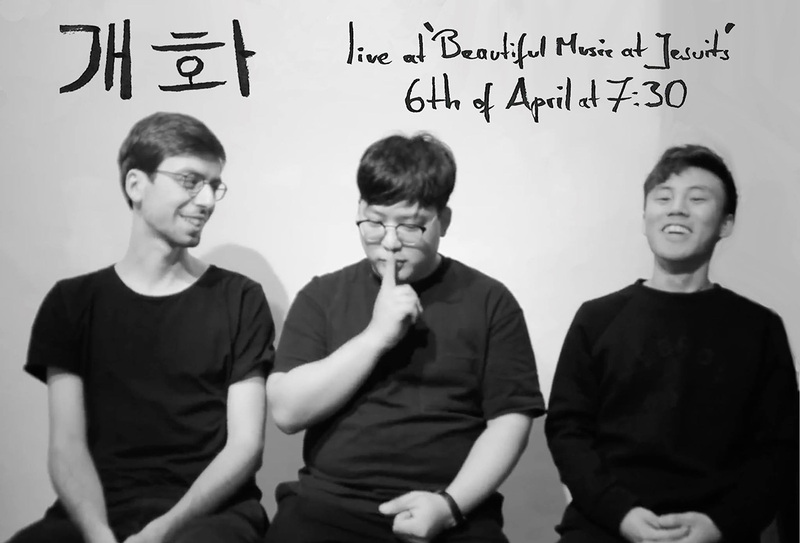 The trio takes traditional Korean music as a starting point for improvisation and exploration. Some songs can be calm and meditative, just like a poem about a slow summer breeze. Other songs are based on lively folk-dances and celebrate, for example, the arrival of spring. 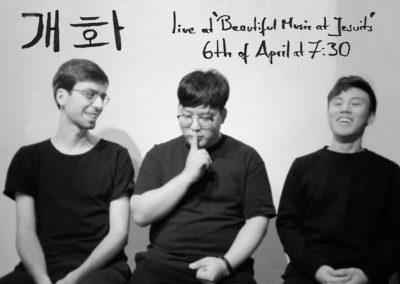 With their warm sound and relaxed charm, Gae-Hwa create beautiful landscapes for the listeners ears and inner eyes.